Who said you couldn't play with your food? Our 3rd EDITION BeanBoozled Spinner Game is a little like Russian Roulette - spin the wheel and let the game dictate the next colour bean someone has to eat. Only you won't know if it's yum or yuk! 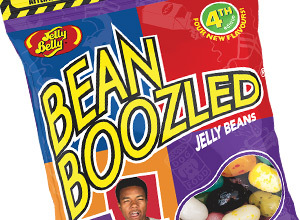 Fake out your family & friends-just don't get BeanBoozled yourself! hmmm...is it Tutti Fruitti or Stinky Beans (eugh! ), Choccie Pudd or wait for it.... Canned Dog Food?!! A fabulous & fun game to play anytime! Full Flavour Line up: Stinky Socks/Tutti Fruitti, Lawn Clippings/Lime, Rotten Egg/Buttered Popcorn, Toothpaste/Berry Blue, Vomit/Peach, Canned Dog Food/Chocolate Pudding, Booger/ Juicy Pear, Baby Wipes/Coconut. 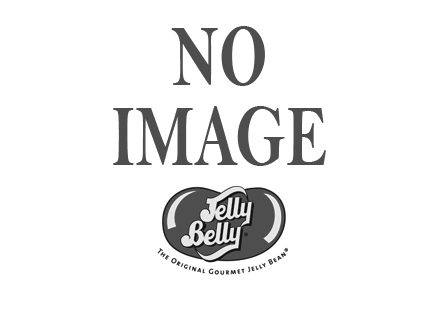 Sugar, glucose syrup, modified cornstarch, flavourings, peach puree concentrate, colours (E102, E110, E129, E132, E133, E150d, E171), acidity regulators (E325, E330, E331), salt, glazing agents (E901, E903, E904), chocolate (sugar, cocoa mass, cocoa butter, emulsifier (E322) soy, flavouring), coconut, lime juice concentrate, pear juice concentrate, concentrates of: apple, purple carrot, hibiscus, cocoa powder, antioxidant: ascorbic acid, tapioca dextrin. Chocolate contains cocoa solids 35 % minimum.